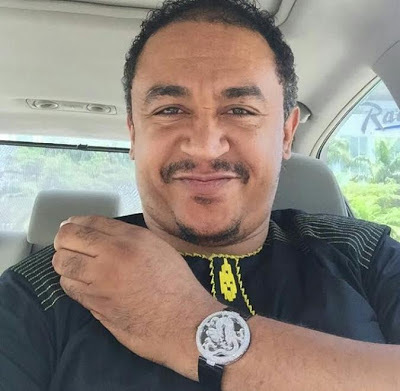 OAP Freeze shares his thoughts on what causes the division in Nigeria and the methods and laws he would use to fix the situation if he becomes the president of the country. "Religion and tribalism are the tools utilized in dividing Nigeria. What would I do if I were elected president of Nigeria in 2019? someone asked. Well I would sign a bill into law, punishable with a minimum of 5 years in prison and maximum of 15 years in prison, any marriage conducted by 2 members of the same tribe. Meaning that if a yoruba man marries a yoruba woman or an Igbo man marries an Igbo woman or a Hausa man marries a Hausa woman, they along with their parents, the bridal team and the groomsmen would all spend a minimum of 5 years in prison. Also any body involved in the wedding eg caterers, mc musician etc would also be charged and if found guilty would also be guests at the state penitentiary. This I would enforce with a 'marriage task force' that would go to weddings to ensure compliance. When we do this for 10years and all of una mary una self make we see how una wan dey fight.